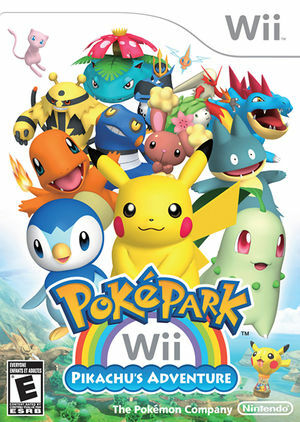 PokéPark Wii: Pikachu's Adventure is the second Wii incarnation of the Pokémon video game franchise. Snapshots will not display correctly with EFB Copies to Texture Only. Disable EFB Copies to Texture Only to fix them. The mandatory snapshot tutorial requires functioning snapshots to continue the game. The graph below charts the compatibility with PokéPark Wii: Pikachu's Adventure since Dolphin's 2.0 release, listing revisions only where a compatibility change occurred. This page was last edited on 16 January 2018, at 03:34.